The Department of Zoology consists of around 250 people, including graduate students, research staff, assistant staff, fellows and university teaching officers (lecturers, readers and professors). We have approximately 30 research groups organised into six interacting research themes. Each year we also welcome a large number of undergraduate students, from the Natural Sciences and Medical and Veterinary Sciences who spend their third year with us. Most of our research and teaching space is located on the New Museums Site in Central Cambridge. The majority of this is in one building, which fronts on to Downing Street and which adjoins the newly refurbished David Attenborough Building. 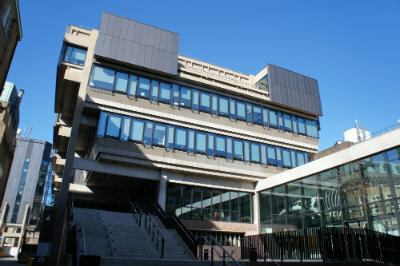 In addition to Departmental labs, the David Attenborough Building houses our Museum of Zoology with its extensive and outstanding collections and the Cambridge Conservation Initiative which includes members of our Department together with a range of other University Staff and members of other conservation organisations. Groups from the Department are also located in the Wellcome/CRUK Gurdon Institute a short walk away from the main buildings. The Department also has field facilities and a Sub-Department of Animal Behaviour located in Madingley village some 5 miles from our central site. Our research is supported by approximately 80 research grants with a total value in excess of £30m. The principal funders include the UK Research Councils - BBSRC, NERC and MRC, charities such as the Royal Society, the Wellcome Trust, the Leverhulme Trust and CRUK, along with international organizations including notably the European Research Council and the US National Institutes of Health.